Big wheels, big paint and classic drag-bike attitude meets premium modern refinement in this all-new attention-grabbing performance cruiser. 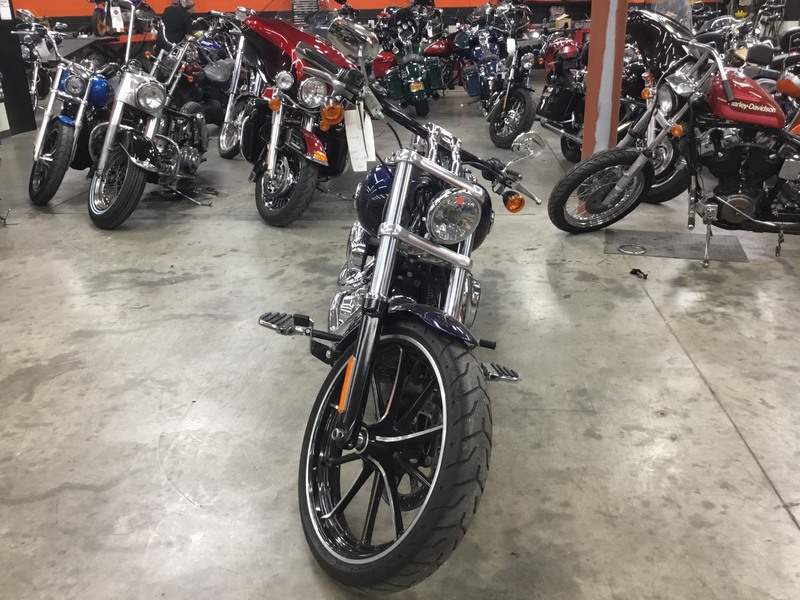 The new 2013 Harley-Davidson® FXSB Softail® Breakout® is a premium custom cruiser that mixes premium features, fit and finishes with a wide, muscular, stance and slammed, low-slung power profile inspired by classic Gasser dragsters of the 1950s and 1960s. The Harley-Davidson Breakout model has a stretched, slammed custom style that's low, long and aggressive. 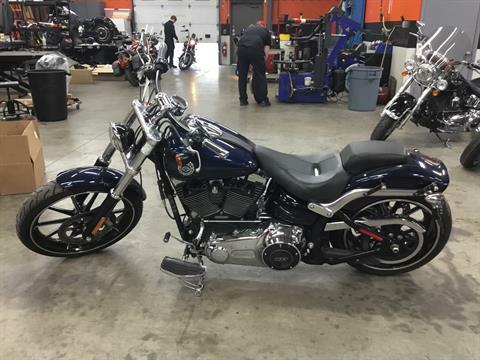 The 2013 Breakout Harley® Softail model is driven by a powerful air-cooled Twin Cam 103™ Harley engine with 6-speed Cruise Drive® transmission that provides more performance power for passing and hill-climbing, and a low cruising rpm for more comfortable cruising. The big, bold Gasser wheels have alternating-position spokes with alternating Vivid Black and machined treatments. 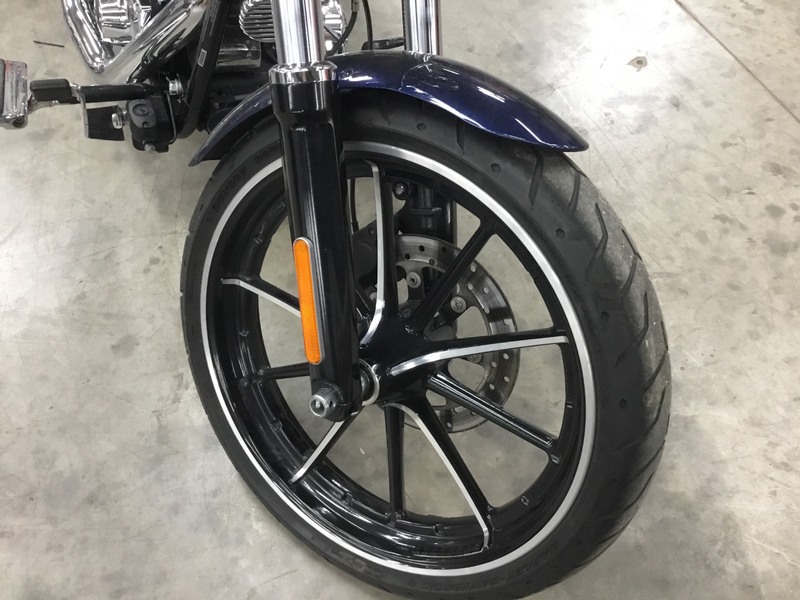 The FXSB Softail Breakout model's Gasser wheels recall the powerful, muscular wheels of classic 1960s and 1970s dragster bikes. The new H-D® FXSB model's big V-twin engine has a unique, sharp-looking Vivid Black and chrome treatment. 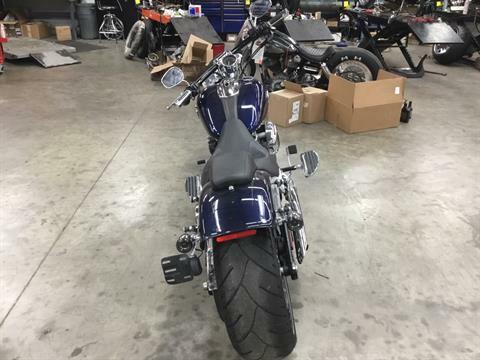 The massive 240 mm rear tire on the Breakout model is the widest wheel on any Harley-Davidson production motorcycle. The FXSB Softail model's fenders are chopped to the legal limit to show off the big tires and complement the sleek dragster style. The exclusive drag-style handlebars are low, wide and offer an aggressive, lean-forward riding position. 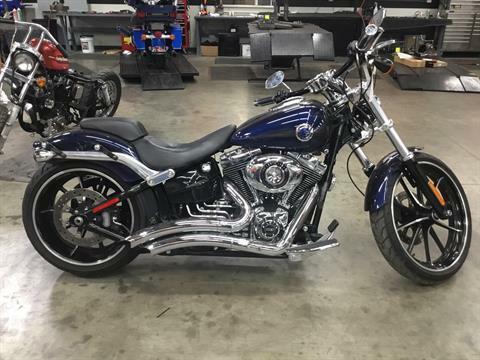 The new Breakout FXSB model sports an exclusive fuel tank medallion and premium paint treatments. Every fit, finish and tolerance of the Softail Breakout has been painstakingly crafted and engineered. The new 2013 Breakout model has a neutral, balanced suspension for a fun, nimble ride. Its 2-piece saddle with detachable pillion is comfortable for solo and 2-up riding. Don't miss this all-new model debuting as the latest chapter in Harley-Davidson's long legacy of motorcycle masterpieces. 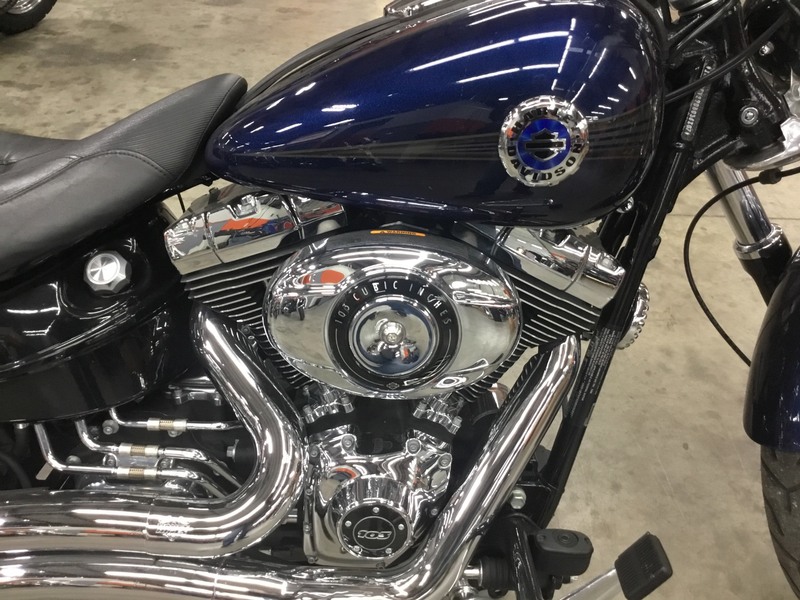 Learn all about it and other head-turning premium custom-style Harley-Davidson motorcycles like the 1970s chopper-inspired Sportster® Seventy-Two® and the powerful modern street-racer attitude of the V-Rod Muscle® and V-Rod® Night Rod® Special.